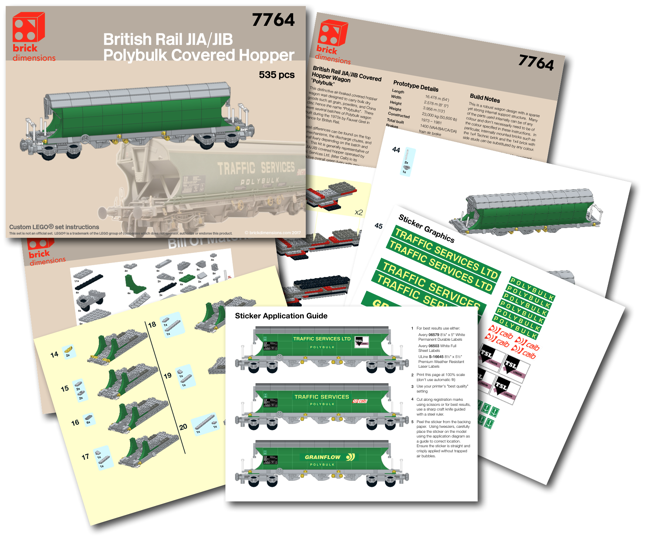 At long last, I have found time to complete the instructions for the British Rail Polybulk covered hopper (TOPS code JIA). This wagon design is quite robust and looks quite impressive in its striking green livery—a livery made possible with availability of 2x4 tiles and 2x4 curved slopes in green. I have road tested this wagon extensively during shows and it works very well. At 535 pieces, it is quite efficient with parts for a wagon of its size. 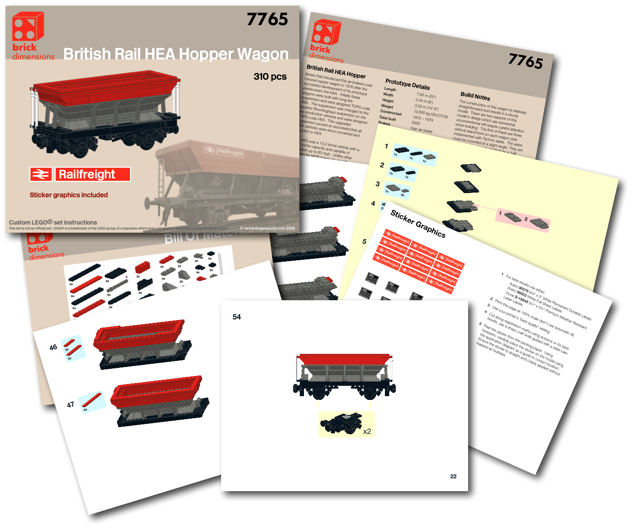 If you can build multiple copies, this wagon looks impressive in a rake of several vehicles. 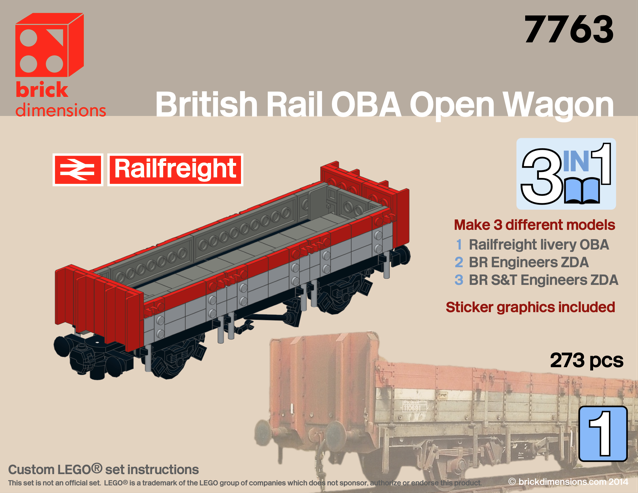 Kit 7763 OBA Open Wagon Now Available! 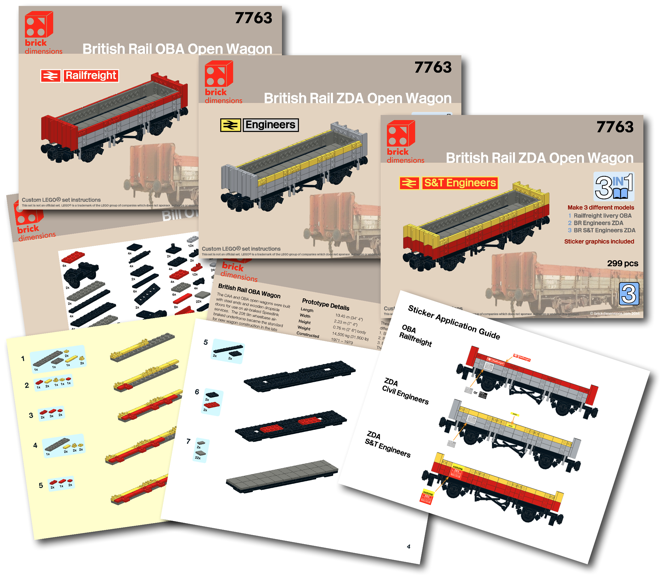 Kit #7763 - British Rail OBA/ZDA open wagon is now complete and available in the store. 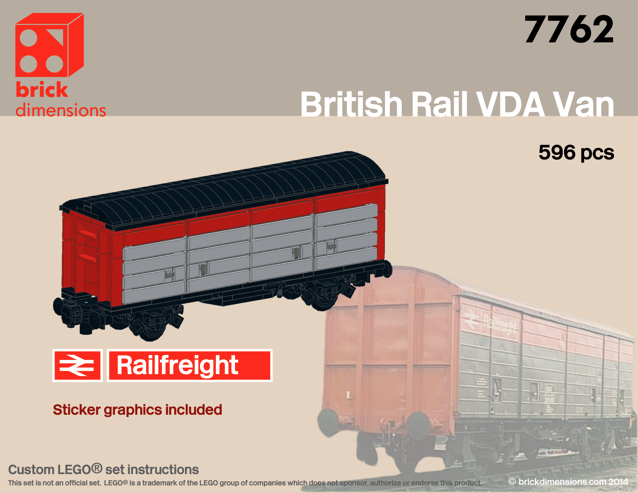 This kit features sticker graphics for the finished model with diagram numbers for different wagons. 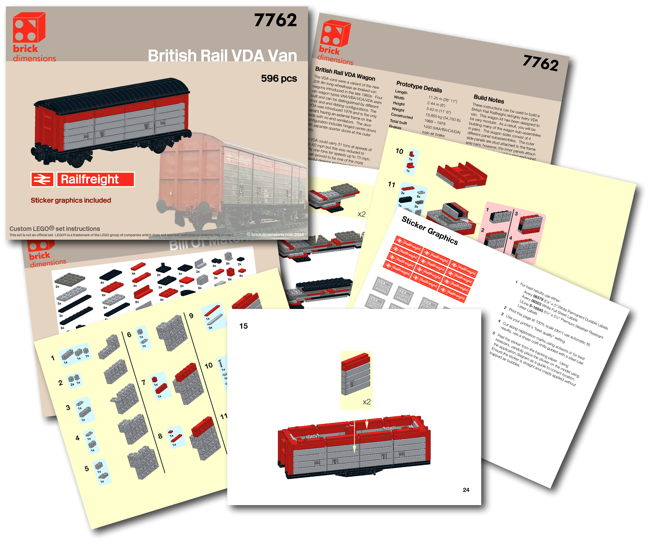 Furthermore, this kit comes as a 3-in-1 kit with 3 separate instruction books to build different livery versions of this model. 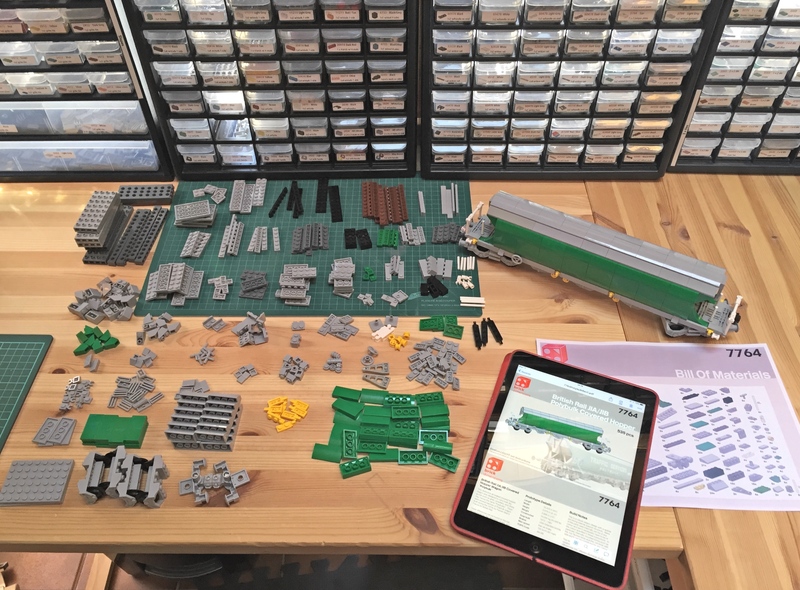 The kit takes advantage of current parts available from LEGO® and strives to optimize the type and number of parts for ease of part procurement and ease of building. Hopefully this kit will prove enjoyable to build, and as always, any feedback on the model is much appreciated.